53% of online sales in US was done by smartphones, and the only country which is ahead of them is Japan, where 90% online shopping was done using smartphones. The amount of money invested by venture capitalist is growing periodically and in year 2014, they invested $4.2 billion in m-commerce. 29% of smartphone users, check their phone in 30 minutes or less, which shopping websites use it to their advantage by sending promotional offers. Mobile banking is another prime example with nearly 69 million Americans using mobile devices to do banking. One is three people use mobile banking app to check their account balance 8 times a month. More than 50 million Europeans do banking online. 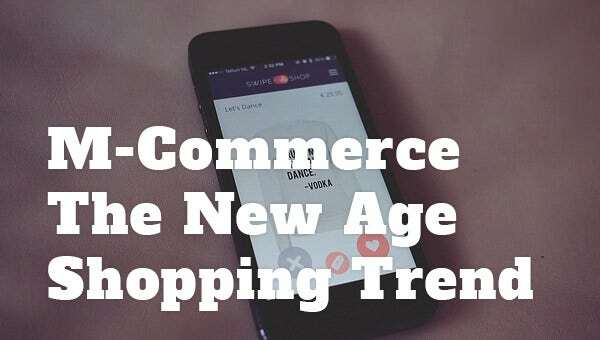 But with ecommerce on all-time high, what’s the need for m-commerce? 1- Natural evolution from ecommerce into the future wireless world of digitalization. 2- Availability of instant decision making information. We want things now and have very less patience to wait; Uber cab is one example of m-commerce where customer in urgency can check the nearby cabs available and ask for a cab. Starbucks is rolling out its app in which order-and-pay feature is available for people on the move, so that they don’t have to stand in long queues impatiently. What it has done is increased the sales of the store and also increased average customer expenditure. McDonald’s is also running in the race with m-commerce app currently working in 88 New York outlets. Even online shopping does take advantage of it by sending promotional offers and coupons to the customer’s mobile. Why the need for M-Commerce? you want to order your food before you reach home, there’s an app for that; you need to transfer money to your family, there’s an app for that also. And there’s no stopping there as well. There’s a constant need to engage customers, understand their behaviour, and enhance their experience on the web because people want the ability to be able to complete any task with the ability of their mobile phone and tablet. Since mobile phones are for communication, tablets are mostly used for entertainment at home, or for work. Also what’s interesting is that people use multiple devices to finish tasks, 53% people who have two devices will switch between the two, 77% people who have three devices will switch among them to finish the task. So, there’s no room to leave any gap holes. Everything must be perfect to be able to influence the consumer. 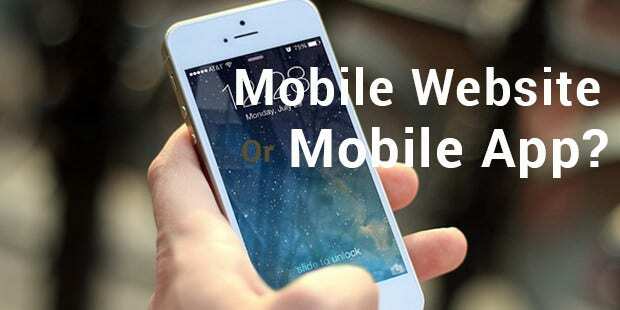 The question that most often is asked in the m-commerce industry is: mobile website or mobile app, which is better? I’ll make it short, Mobile App. If the question were asked 2 years ago, the answer would definitely be mobile website because they are easier to build and no need to get any approvals and people were using them more. But people on average are spending more time on mobile apps than before, they are faster, better integrated and provide better user experience. Although for searching and entertainment, Templates of mobile websites still remain popular but for connecting and shopping, mobile apps have moved forward. In the upcoming trends for m-commerce, it offers features like extended packaging so that consumer can avail extended information about products and related transactions. Purchasing content and delivering it timely is another advantage of the mobile business templates that business houses take in the consideration with the help of digital in-built products like videos, games and music etc. There’s no question about the ability and importance of mobile devices and what they have to offer. The way we use our mobiles are influencing our decision making ability and top enterprises understand this behavior and wants to provide their customer the best of services on mobile devices.